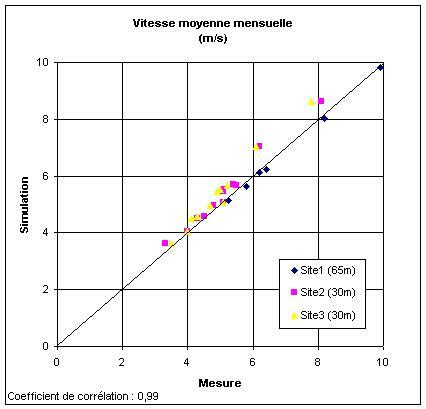 The validation consists in comparing the results of a range of observations carried out on the field with measuring masts with results of a modelisation by the MAESTROW software. The measurements on the field are carried out at an altitude of 30m and 65m. The graph below presents the results of the validation. It shows a perfect correlation between the observations and the results of the modelisation as far as the monthly average speed is concerned. 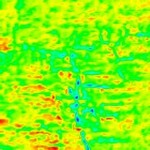 A similar correlation has been revealed as far as the energy production is concerned. Product of ATM-PRO sprl .